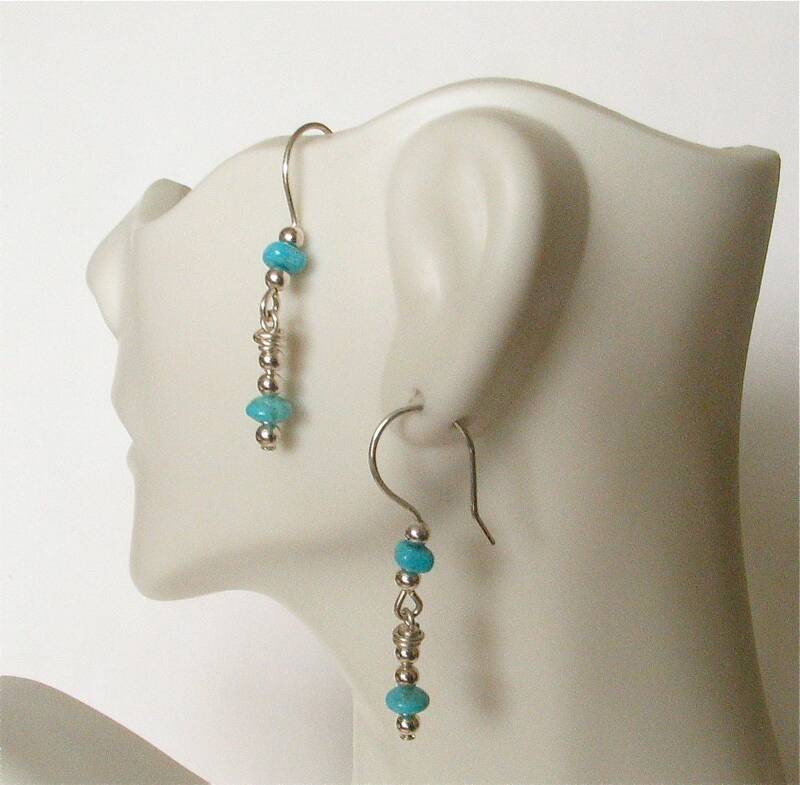 Pretty turquoise and sterling silver earrings. The small 4mm turquoise beads are from the Kingman mine here in Arizona. The ear wires are hand shaped from 20 gauge sterling silver wire. The length from the top of the ear wire is 1 1/2 inches.